Last week I wrote about things that every parent needs to know about kids and drugs. Today, I want to share with you a valuable resource to use if your child has gotten involved in drugs in Tarrant County. If your teenager has been charged in juvenile court with their first drug offense, you need to ask about the Tarrant County Juvenile Drug Court Program. 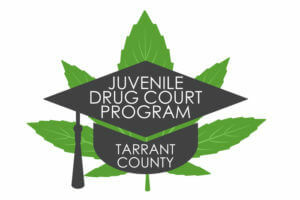 The Drug Court Program in Tarrant County was launched in 1999. It was the first of its kind in the State of Texas. It is a voluntary program aimed at first time juvenile drug offenders. According to Tom Zaback, a Tarrant County juvenile probation officer and the supervisor of the program, 80% of the participants in Drug Court graduate the program successfully. Juveniles in the program, and their parents, are required to commit a lot to Drug Court. This commitment to the program leads to a commitment to change, which contributes significantly to juveniles graduating from Drug Court and kicking their drug problem. While in Drug Court, which lasts for six months, juveniles and their parents will work closely with a probation officer and drug counselors in classes and groups that are tailored to meet the individual needs of each child. Cases are screened automatically by the probation officers assigned to Drug Court to determine kids who may be appropriate for the program. However, if your child has been charged with a drug offense and you feel this may be a good option for him, you can ask your intake probation officer about being considered for inclusion in Drug Court. Once a juvenile has been identified for the program, one of the Drug Court probation officers will schedule an intake with that child and his parents. During the intake appointment, the probation officer will explain the requirements of the program, get a social history from the family, and have the juvenile to take a drug test. The juvenile must also submit to a drug assessment during the screening process. This assessment will help to determine the level of that child’s drug problem and the recommended level of treatment needed. At the end of the screening, the probation officer will make a recommendation about whether that child should be allowed into Drug Court. 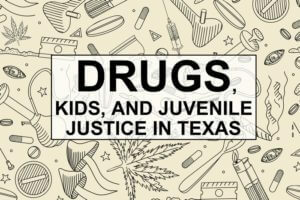 If a juvenile is recommended for Drug Court, the case is then sent to the Tarrant County District Attorney’s Office Juvenile Unit for prosecution. The prosecutor will review the case and file the charges with the court. The Tarrant County Juvenile Court will then schedule the case for a drug court hearing. At that hearing, the juvenile must stipulate, or admit, to the charges. The judge will enter a judgment withheld, which means that the judge will note that there is sufficient evidence to adjudicate the juvenile delinquent (or find him guilty), but will not, at that time, actually adjudicate the juvenile. The judge will then order him into the Drug Court Program. Every juvenile in the program must come back to court for a judicial review at the 3-month mark and again at the end of the program. The purpose of this judicial review is for the judge to monitor the child’s progress in Drug Court. At the end of the six-month program, if the child has successfully completed all requirements, the judge will deny the prosecutor’s petition and order the child’s offense record to be sealed immediately. This is a huge benefit to the child because it means that he can honestly say to anyone asking in the future that he has not been charged or adjudicated for a drug offense. Sealing one’s record effectively erases it from existence. As I mentioned above, while in Drug Court, a kid will be required to work with a probation officer and drug counselor to resolve any problems that he is facing with regards to drugs. 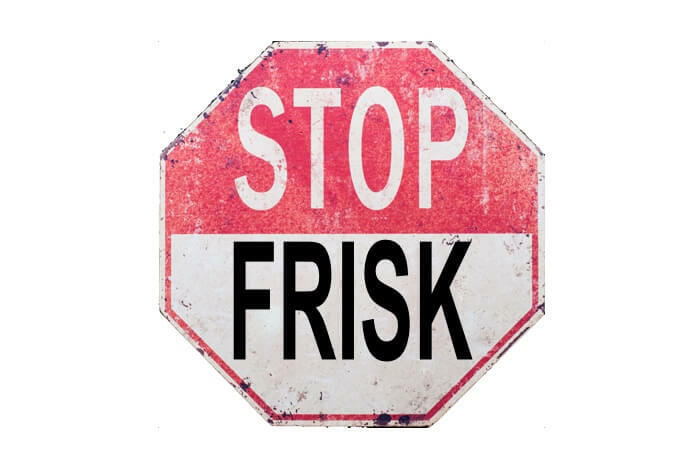 There are other conditions that a juvenile in the program is required to follow, which are similar to the conditions of traditional probation. Some of these conditions are: no drugs, go to school, be honest, and attend treatment regularly. If a kid violates the terms of his Drug Court agreement, a progress report will be sent to the judge. If it is determined that a juvenile has violated the terms of the program to the extent that he is kicked out, he will be required to return to court for a disposition hearing. At this court hearing, the judge will enter a finding that the juvenile is adjudicated of the drug offense and then proceed to determine the appropriate punishment, or disposition, for the drug violation. 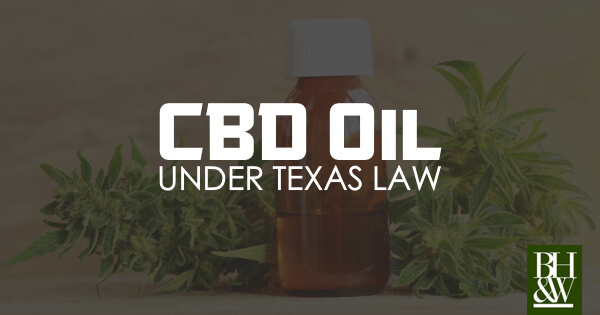 This may result in the child being placed on traditional probation, being ordered to attend an in-patient drug treatment program, or in extreme cases, being sentenced to the Texas Juvenile Justice Department. Additionally, a driver’s license suspension will usually be ordered. 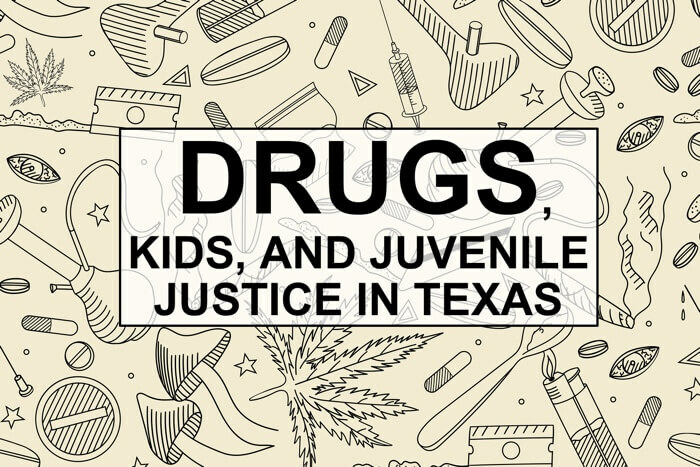 The Tarrant County Juvenile Drug Court is a wonderful program designed to help kids who are charged with a first-time drug offense. Its purpose is to help juveniles work through their drug problems while giving them a second chance to keep their juvenile record intact. The program is very successful. It requires a high level of commitment from the juveniles and parents who are in it, but that commitment is rewarded with a true change in the behavior, attitude, and lifestyle of that child. If your child is struggling with drugs, it is worth asking whether the Tarrant County Drug Court Program can help. One of the most common way for teenagers to run afoul of the law is with drugs. Between peer pressure, synthetic drugs, and confusion over possession vs. ownership, there are many pitfalls surrounding the topic of drugs for kids. Many times, parents aren’t even aware their child has been exposed to drugs until that child is in trouble. Here are some basic things that every parents needs to know about kids and drugs before it’s too late. In Texas, criminal offenses are divided into two major categories: Felonies and Misdemeanors, with felonies being the more serious. 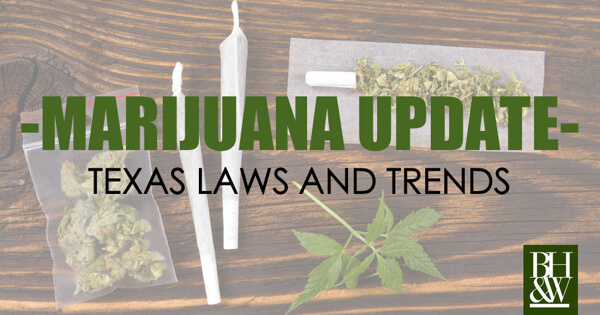 Except for possession of small amounts of marijuana or prescription drugs, all other drug offenses in Texas are felonies. This means that this is a very big deal if your child is arrested for drugs. In the juvenile system, the punishment for misdemeanors ranges from nothing up to probation until that child’s 18th birthday. This probation can be served out at home. However, if appropriate, the court can order the child to a treatment facility, boys’ ranch, or some other kind of placement as part of the probation. The punishment options for felonies in the juvenile system, like for misdemeanors, include doing nothing and probation up to a child’s 18th birthday (with or without placement outside of the home). For felonies, however, the court also can commit a child to the Texas Juvenile Justice Department (TJJD), which is the prison system in Texas for kids. A commitment to TJJD can last up until a child’s 19th birthday. Some of the most popular drugs in use today are synthetic or designer drugs. They go by a variety of nicknames including K2, bath salts, and Spice. These particular drugs are especially dangerous for a number of reasons. First, because they are a chemically altered variation of an illegal drug, they are legal in many cases. The legislature is still struggling to write the laws in such a way to criminalize all of these variations. As they make one chemical formula illegal, the chemists making these drugs alter it to escape prosecution. The law is making headway in this field, but it is a slow process. Because of this loophole, many of these synthetic drugs are legally sold in stores and over the internet. This makes it very easy for kids to get their hands on them. The second reason why these drugs are particularly dangerous is because there is no way for a user to know what exactly is in the dose they are taking due to the rapidly changing chemical alterations that are being made to stay ahead of the law. The K2 your child takes today may be drastically different from the dose he took last week. There is also no way to know what side effects a specific chemical combination will have on a particular person or even the human body generally. Part of the reason why these drugs are so popular with kids is because it is almost impossible to detect them. Because of the quickly changing chemical makeups of these drugs, it’s difficult to develop a drug test that can detect them all. Additionally, most parents have never heard of these drugs, which makes it easier for kids to get away with using them without their parents realizing what they are doing. This difficulty in detecting these drugs makes it more likely for kids to abuse these particular substances. Another category of drugs that has risen in popularity with teenagers is prescription drugs. These are used frequently by kids because they are easy to get their hands on. All they have to do is to go to the medicine cabinet at home and help themselves to whatever drugs are on the shelf. It doesn’t matter what the prescription is for or who it belongs to, it can be abused by kids. 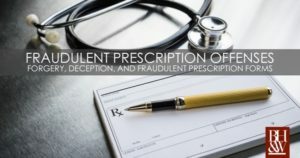 Teens have been known to sell and/or use pills prescribed for everything from ADD to depression to high blood pressure. When parents are unaware of the potential for kids to take these medicines, they are unlikely to secure them in order to keep them away from their teenagers. There have been several cases recently in Tarrant County where kids have been arrested at school for illegally selling or possessing a prescription drug that they took from their parents. When it comes to the drug laws, many kids are confused about the difference between ownership vs. possession. The law makes it illegal to possess drugs, regardless of who owns them. In fact, because drugs are considered “contraband,” the law doesn’t consider anyone to “own” them. Many kids, when busted for possessing drugs, will say, “But it’s not mine. I was just holding it for my friend.” They don’t understand that this means they are breaking the law, not their friend. Possession is defined as having care, custody, and control of something. This means that if you have the drugs in your pocket, you are in possession of them whether you “own” them or not. Many “good kids” who wouldn’t dream of committing a crime will get caught holding drugs for their friends. Because they don’t understand that, if caught, they will be the guilty party and not their friend, they agree to hold onto the drugs for their buddy. It’s important that parents talk to their kids and explain this aspect of the law and the effect it can have. As I said at the beginning, drugs are a common reason why kids find themselves in the juvenile justice system and in alternative school for a period of time. It is a slippery slope that many teenagers find themselves on before they even realize what has happened. Below are some of the most common places for kids to encounter drugs. Our kids spend a good deal of their time at school. By the time a kid gets into middle school and high school, a big chunk of their social circle is centered around school. School is also the place where they are likely to encounter a wide variety of different people. So, it’s no wonder, that it is also the place where many kids first encounter drugs. Not only do the school administrators and teachers have to be on the alert for drugs in school, but parents also need to be aware and be proactive in preparing kids to walk away when they encounter drug activity in the school environment. When kids are in their preteen and teenage years, peer pressure is a very powerful force. Many kids are first exposed to drugs by their friends. Therefore, it is important, as parents, to know our kids’ friends and to be around them enough to pick up on whether these friends have a problem with drugs before our kids follow the same path. It’s also important for parents to consistently work on having that open communication with their kids so that, when the time comes, your kids can feel comfortable coming to talk to you about drugs and friends. Kids also need to know that if they are ever asked to hold onto to drugs for their friends, that they must say no, even if it means losing a friend over it. 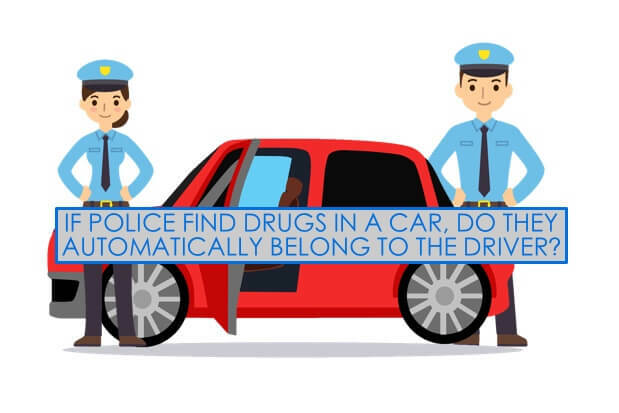 Cars present a tricky scenario for kids when it comes to drugs. 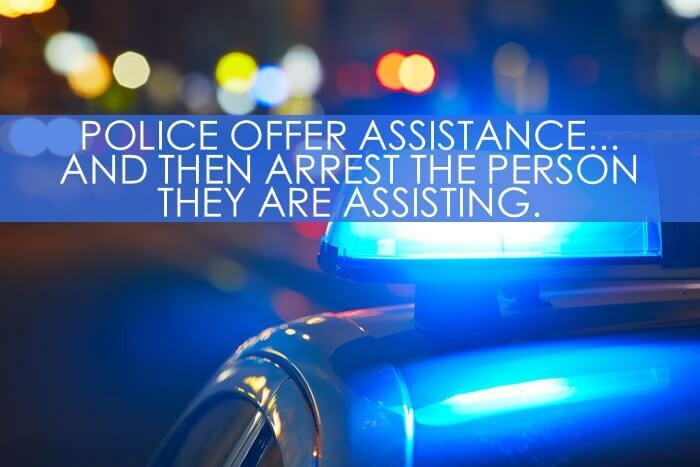 If your teen gets into the car with someone who has drugs, it is very possible that your child will get charged with the drugs if they are pulled over by police. 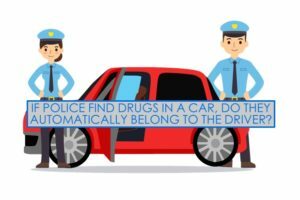 When police and prosecutors are looking at who within a car to charge with possession of the drugs, they will many times look to the person who was sitting the closest to the drugs. If someone else in the car drops their stash of drugs near your child, then it may appear that your child was the one in possession. This is a situation where parents need to talk to their children about how easy it is for them to be in a car with others and be held responsible for the actions of those other people. Kids need to be very careful about who they get into a car with. Parents need to prepare their kids to make the right decision when confronted with whether to get in a car with someone or not. While it is common for otherwise “good kids” to get in trouble with the law when it comes to drugs, it is not inevitable. If parents take the time to educate themselves and their kids about the pitfalls that drugs can create, they can help their teenagers to avoid getting involved in the juvenile justice system. 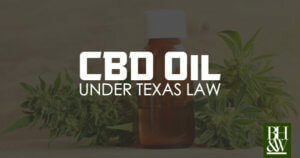 Christy Dunn is a writer and attorney licensed to practice in Texas. She was a prosecutor for 15 years. The last five years of her prosecutorial career was spent in the Juvenile Division of the Tarrant County District Attorney’s Office. She has tried over 20 juvenile cases in Texas and multiple certification hearings. She was part of the multidisciplinary team that created a Project SAFeR. Synthetic Cannabinoids became popular in the 2000’s when they were first marketed as “legal herbs.” In 2008, chemical analysis revealed that these designer drugs were more than just herbs. The military, in particular, had a big problem with Spice and K2 (two forms of synthetic marijuana) in the late 2000’s, because they gave users a similar (or greater) high than marijuana, but they were not included in any federal schedule of controlled substances. As these substances became more popular and widely consumed, the DEA banned their use in 2010 using emergency temporary powers and then later by placing them on Schedule I of Controlled Substance Act. How Do Controlled Substances Analogues (Designer Drugs) Fit Into the Federal Drug Control Scheme? Thomas Malone and his business partner Drew Green owned NutraGenomics Manufacturing, LLC, a distributor of JWH-018, a synthetic cannabinoid substance, also known as “Spice” and “K2” on the street. However, in 2011 federal and state legislatures banned JWH-018 and other similar designer drugs or synthetic cannabinoids. Malone and Green began selling other synthetic cannabinoids, namely, AM-2201, known as “Mr. Miyagi…a mixture of AM-2201 and vegetable material that visually resemble[s] marijuana.” Eventually, Malone and Green ordered the mass manufacture of Mr. Miyagi, selling in bulk to a distributor in Louisiana. Although labeled as potpourri, Mr. Miyagi was supposed to be smoked like marijuana. The PSR listed Tetrahydrocannabinol, THC, as the most closely related controlled substance to AM-2201. 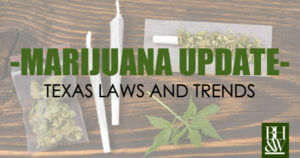 Further, the federal Drug Equivalency Tables indicated that a 1 to 167 ration be applied to convert the 1400 kilograms of AM-2201 into marijuana for the purpose of sentences under the federal Sentencing Guidelines. 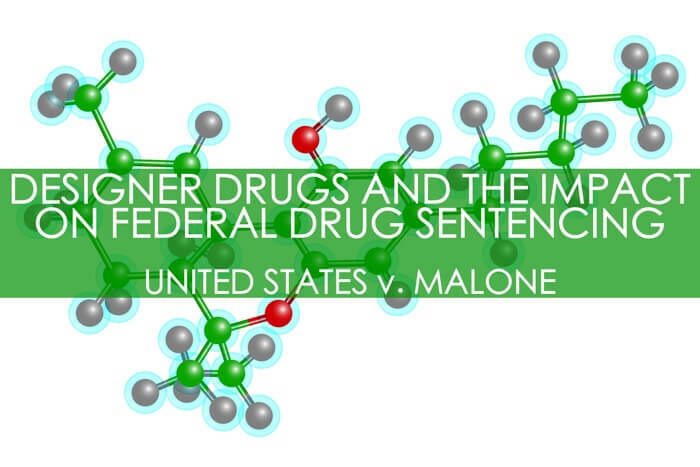 Using this mathematical equation, it was determined that Malone should be sentenced for 233,800 kilograms of marijuana—the highest level set forth by the Drug Equivalency Tables. At trial, each side put forth an expert witness arguing for and against the use of the THC and the THC ratio set forth in the PSR. The Government called Dr. Jordan Trecki to testify that THC is the most closely related substance to AM-2201. Dr. Trecki relied on a scientific study “showing that both THC and AM-2201 bind to the same cannabinoid receptor” in the brain. Second, he testified about a study on rats where the rats could not tell the difference between THC and AM-2201. Third, he discussed AM-2201’s potency and effects on humans. Dr. Trecki told the court that THC and AM-2201 are close in chemical make-up and in effect on the structures of the brain. Dr. Trecki said, however, that there was no scientific basis for the 1:167 ratio. Malone’s attorney called Dr. Nicholas Cozzi, who stressed the importance of comparison of the two drug compounds—THC and AM-2201—in humans, not just in animals. Dr. Cozzi criticized Dr. Trecki’s analysis because Trecki “combined the results of several studies” and that the studies were not conducted on humans, rather they were animal studies. Dr. Cozzi stated that marijuana, not THC, was the most closely related substance to AM-2201 because it’s smoked and inhaled, like marijuana, and because both substances are consumed for their effect. Dr. Cozzi agreed with Dr. Trecki on one point—that the 1:167 ratio was not rooted in science. Relying heavily on Dr. Trecki’s expert testimony, the District Court sentenced Malone to 117 months imprisonment and three years of supervised release following prison. 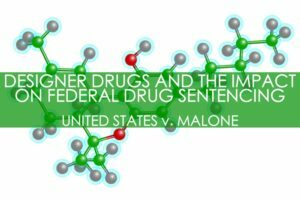 The court noted that “the ratios in sentencing guidelines are often arbitrary… [however] the ratios seek to outline the relative harm of certain drugs.” Malone appeals to the Fifth Circuit Court of Appeals. The Fifth Circuit must determine whether THC really is the most closely-related substance to the controlled substance analogue, AM-2201, and if so, whether the 1:167 ratio is a reasonable conversion for sentencing purposes. Third, the Fifth Circuit says that the district court did not have to “engage in a piece-by-piece analysis of empirical grounding behind…[the] sentencing guidelines.” United States v. Duarte, 569 F.3d 357, 366-67 (5th Cir. 2009). Accordingly, the Court says that only the Commission on sentencing guidelines can change the guidelines, and therefore, does not rule on this issue. The Fifth Circuit agrees with the holding and reasoning of the district court—Malone’s sentence is affirmed. *This case consolidates two cases, United States v. Malone and United States v. Green. Have you ever seen a movie like The Fugitive or Double Jeopardy where the main character finds himself in suspicious circumstances, only to be arrested and convicted, with the rest of the movie focused on proving the main character’s innocence? The defense counsel in Dabney v. State used this sort of analogy as the theme of his case to the jury—that the defendant was trapped in a bad movie plot and wasn’t actually guilty of any crime. In response to the movie-plot defense theory, the State filed a brief arguing that it should be permitted to present evidence of a previous incident years ago, in which Dabney was present when a search warrant was executed on his property and an active meth lab was found. 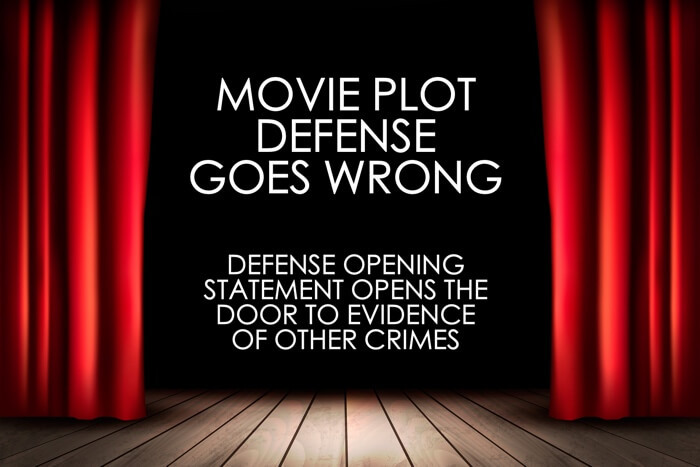 The State argued that the opening statements about the movie-plot amounted to a defensive theory, where evidence or mistake is at issue, worthy of a rebuttal argument supported by rebuttal evidence allowed under Rule 404(b) of the Texas Rules of Evidence. Before trial, Dabney submitted a request for “notice” of the State’s intent to use evidence of past “extraneous” offenses under the Texas Rules of Evidence 404(b). The state failed to give proper notice of any 404(b) allegations. However, after hearing the defense opening statement, the State argued that the similarities between the case at bar and a previous case “rebutted [Dabney’s] defensive theory of accident or mistake” and requested permission to use the previous incident as 404(b) evidence to show the absence of mistake. The judge concluded the evidence of the previous crime was admissible. During closing remarks, the State averred, “[Dabney is] the unluckiest man in the world…[he] wants you to think [he] is Harrison Ford from the Fugitive…[with] a confluence of unfortunate events that frame him…but…common sense says it’s not an accident if it has happened twice…it’s the Doctrine of Chances.” Ronnie Dabney was found guilty of manufacturing meth and the jury sentenced him to 30 years imprisonment. Dabney appealed to the Second Court of Appeals arguing the State failed to give proper notice of intent to use evidence of Dabney’s past crimes in its rebuttal argument under Texas evidentiary rules. The Fort Worth Court of Appeals reversed the trial court’s judgment, holding that the evidence of Dabney’s past crimes was inadmissible without proper notice from the State. 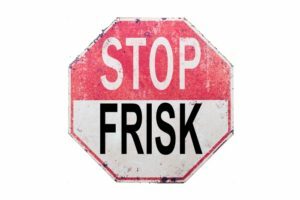 Dabney v. State, No. 02-12-00530-CR, 2014 Tex. App. LEXIS 11496 (Tex. App.—Fort Worth, Oct. 16, 2014) (mem.op., not designated for publication). The State petitioned the Court of Criminal Appeals for review, arguing that notice is not required for rebuttal evidence because defensive theories cannot be predicted ahead of time. Dabney asserts that the State has a duty to anticipate all defensive issues that may come up in rebuttal. (1) Did the court of appeals incorrectly add a “notice requirement” for rebuttal evidence? (2) Did the court of appeals improperly ignore the overwhelming evidence of Dabney’s guilt? evidence of crimes, wrongs, or acts is not admissible to prove the character of a person in order to show action in conformity [of the crime being prosecuted].” “However, [such evidence] may be admissible for other purposes, such as…intent, preparation…knowledge…absence of mistake or accident, provided that upon timely request by the [defendant], reasonable notice is given in advance of trial of intent to introduce in the State’s case. A defense opening statement can open the door for the admission of extraneous-offense evidence to rebut the defensive theory presented in opening statements. Bass v. State, 270 S.W.3d 557 (Tex. Crim. App. 2008). The Doctrine of Chances tells [the court] that highly unusual events are unlikely to repeat themselves inadvertently or by happenstance.” LaPaz v. State, 279 S.W. 3d 336, 347 (Tex. Crim. App. 2009). Rule 404(b) is a rule of inclusion, rather than of exclusions—it excludes only evidence that is offered solely for the purpose of proving bad character and conduct in conformity with that bad character. Id. at 343. In sum, [Dabney] presented his defensive theory in opening statements and the State could use extraneous-offense evidence to rebut this theory in its case-in-chief, instead of waiting until the defense rested. Bass at 563. 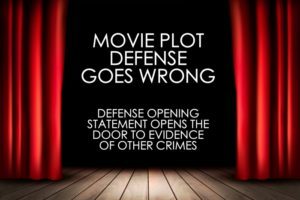 Defendants who are planning to use the “movie plot” defensive theory in the future, must be prepared to have the theory tested in front of a jury with 404(b) rebuttal evidence of other crimes, wrongs, or acts.